Amerom Industries Inc. collects personally identifiable information from individuals who provide it voluntarily and knowingly by signing up for mailing lists, filling out forms, etc… This information is used to fulfill your requests for certain products and services, and to contact you about specials, news, and new products. Amerom Industries Inc. also automatically receives and records information on its server logs from your browser including your IP address, Amerom Industries Inc. cookie information and the page you requested. We combine this information with similar information collected about all other visitors. By collecting this information, we learn how to best tailor our website to our visitors. Amerom Industries Inc. will not sell or rent your personally identifiable information to anyone. Amerom Industries Inc. may set and access Amerom Industries Inc. cookies on your computer. 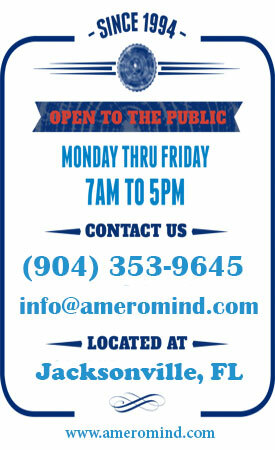 Amerom Industries Inc. gives you the ability to delete your entry from its mailing list at any time on its web site. In certain areas Amerom Industries Inc. uses industry-standard SSL-encryption to protect data transmissions.